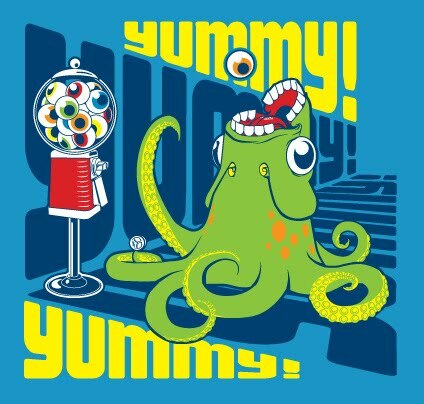 Eye-Ball Machine- Five Screen-Printed Colors on a Medium Blue shirt. Ear Hare- 3 Screen-Printed Colors on Sand or Gold shirt. These are the designs for the letter E; go figure. 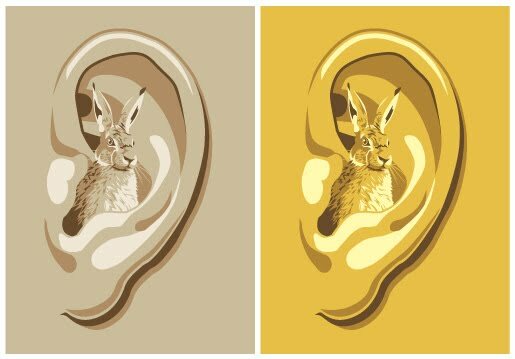 The are also recent T-shirt designs that I will soon post with two other designs on Threadless. Awesome stuff man! I love this monster. The next Chades Challenge is to do an alternate version of the classic evolutionary line-up. If you want to continue your "e" theme, you're more than welcome to contribute an Evolution! Awesome designs... Eyeball machine is super cool!